Mahak Jain, who replaced Karman Kaur Thandi, lost her singles tie in three sets. 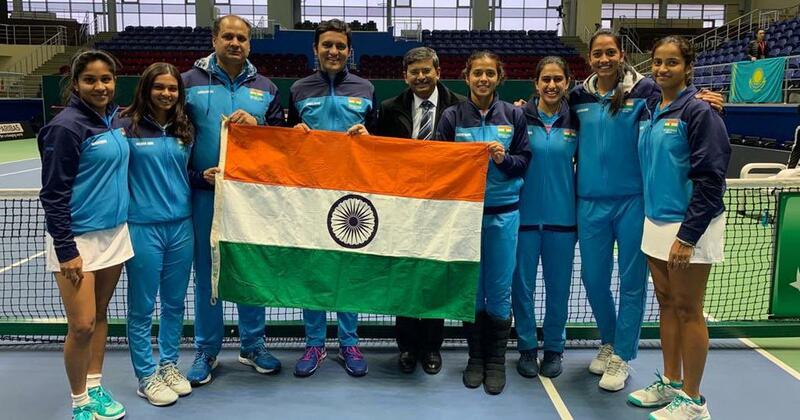 India ended its campaign at the Fed Cup with a fourth place-finish in the Asia/Oceania zone after losing the classification tie 1-2 to South Korea as the team missed injured Karman Kaur Thandi, who did not play on Saturday. Captain Vishal Uppal handed national champion Mahak Jain her Fed Cup debut after a groin strain forced Karman out of the tie. The diminutive Mahak played her heart out before losing steam towards the end for a 2-6, 6-3, 1-6 defeat against Na-Ri Kim. Ankita Raina came out to level the tie as she outplayed Sunam Jiong 6-3, 6-3 in one hour and 18 minutes. The doubles became decisive but Raina and Prarthana Thombare lost the close rubber 4-6, 4-6 to the Korean team of Su Jeong-Jang and Kim. Captain Uppal said India had a good chance to win this tie. “Big learning curve for Mahak today. She could have won this match but she dropped off at the start of the third set which you cannot afford to do against a good player. Ankita dominated her match and we could have won 2-0 today or even 2-1 had Karman been fit enough to play,” said Uppal. Uppal said the future was bright for the Indian Fed Cup team players. “As a captain I have seen a lot of good things which we need to build on. I think once we have all our best girls healthy we can become an even more dangerous team. I am encouraged by the fact we are a young team and we will only keep getting better. I am probably a bit disappointed about today’s result but overall I am very upbeat about our future prospects. I think Ankita can break through to top 100 this year if she stays healthy and keeps playing the way she has played this week,” said Uppal.